After getting a new HE washing machine a number of years ago I stopped using powdered laundry detergent. 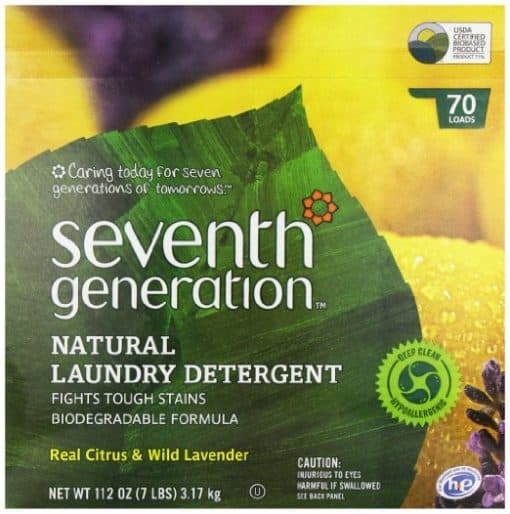 However, when I started looking into safer and healthier cleaning alternatives I found Seventh Generation Natural Laundry detergent. It does a great job cleaning all of or tough stains and smells great. Not only is it safe for my family but it is also better for the environment.